We’d love your help. 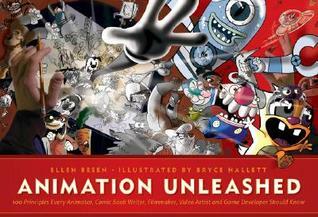 Let us know what’s wrong with this preview of Animation Unleashed by Ellen Besen. Make your animation say what you want it to say. Animation's potential as a powerful tool for communication is just beginning to be understood. This book reveals key principles, useful for both professionals and beginners, which will help you harness the full power of this exciting and ever expanding medium. To ask other readers questions about Animation Unleashed, please sign up.